A scientist who to Israel had worked on the U.S. government's Star Wars missile shield program, and the Justice Department declared Tuesday that he had tried to share some of the nation's most guarded secrets. Prosecutors added no new information to Monday's affidavit. They argued for continued detention saying that Nozette is a flight risk "because of his willingness and desire to betray the United States by selling its most sensitive secrets," reports CBS News producer Stephanie Lambidakis. They added that Nozette was videotaped by FBI undercover agents as he left information at a dead-drop site and that the materials would cause "exceptionally grave damage to national security." A former colleague of Nozette says the scientist worked on the Reagan administration's Star Wars missile shield program. In an interview, Scott Hubbard said that Nozette was primarily a technical defense expert working on the Reagan-era effort formally named the Strategic Defense Initiative. "This was leading edge, Department of Defense national security work," said Hubbard, a professor of aerospace at Stanford University who worked for 20 years at NASA. Hubbard said Nozette worked on the Star Wars project at the Energy Department's Lawrence Livermore National Laboratory. Nozette looked disheveled during his court appearance, with his blue jeans were falling off his hips and blue, untucked button-downed shirt, reports Lambidakis. He was not handcuffed but kept his hands behind his back. Nozette's attorney, John C. Kiyonago also represented him in an NASA internal investigation into expense reimbursements for a nonprofit organization Nozette established while working for the space agency, reports Lambidakis. At Energy, Nozette held a special security clearance equivalent to the Defense Department's top secret and "critical nuclear weapon design information" clearances. DOE clearances apply to access to information specifically relating to atomic or nuclear-related materials. 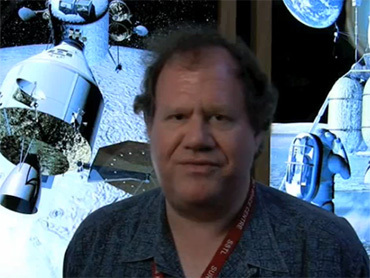 Hubbard said that the Clementine project Nozette worked on in the 1990s was essentially a non-military application of Star Wars technology. Nozette also worked for the White House's National Space Council in 1989 and 1990. To build a case against Nozette, FBI agents posed as officers of the Israeli intelligence service Mossad, and the criminal complaint suggests why they thought their suspect would take the bait. From 1998 to 2008, the complaint alleges, Nozette was a technical adviser for a consultant company that was wholly owned by the Israeli government. Nozette was paid about $225,000 over that period, the court papers say. Then, in January of this year, Nozette allegedly traveled to another foreign country with two computer thumb drives and apparently did not return with them. Prosecutors also quote an unnamed colleague of Nozette who said the scientist said that if the U.S. government ever tried to put him in jail for an unrelated criminal offense, he would go to Israel or another foreign country and "tell them everything" he knows. The complaint does not allege that the government of Israel or anyone acting on its behalf violated U.S. law. In Jerusalem, Israeli government officials said they were not familiar with the case and had never heard of the suspect. The Israeli daily Haaretz reported Tuesday that Nozette had past business dealings with Israel Aerospace Industries, a government-owned defense contractor. IAI declined to comment. The affidavit by FBI agent Leslie Martell said that on Sept. 3, Nozette received a telephone call from an individual purporting to be an Israeli intelligence officer, but who was actually an undercover FBI agent. Nozette agreed to meet with the agent later that day at a hotel in Washington and in the subsequent meeting the two discussed Nozette's willingness to work for Israeli intelligence, the affidavit said. The scientist also allegedly said he would be willing to answer questions about this information in exchange for money. The agent explained that the Israeli intelligence agency, Mossad, would arrange for a communication system so Nozette could pass on information in a post office box. Nozette agreed to provide regular, continuing information and asked for an Israeli passport, the affidavit alleged. According to the court papers, Nozette and the undercover agent met soon afterward in the same hotel, where the scientist allegedly said that while he no longer had legal access to any classified information at a U.S. government facility, he could, nonetheless, recall classified information by memory. Nozette allegedly told the agent, "Well, I should tell you my first need is that they should figure out how to pay me ... they don't expect me to do this for free." About a week later, FBI agents left a letter in the designated post office box, asking Nozette to answer a list of questions about U.S. satellite information. The agents provided a $2,000 cash payment. Nozette was later captured on videotape leaving a manila envelope in the post office box. The next day, agents retrieved the sealed envelope and found, among other things, a one-page document containing answers to the questions and an encrypted computer thumb drive. One answer contained information classified as secret, which concerned capabilities of a prototype overhead surveillance system. Nozette allegedly offered to reveal additional classified information that directly concerned nuclear weaponry, military spacecraft or satellites, and other major weapons systems. Agents then asked for more information, and again he allegedly provided it, in exchange for a cash payment of $9,000. Nozette's next court appearance is scheduled for Oct. 29.